SKU: 978-0-9796736-6-5 Categories: Biblical Christian Faith, Books, Christian Worldview, Devotionals, eBooks, Evangelism, NPI, Religion, Theology Tag: Mark A. Marinella M.D. 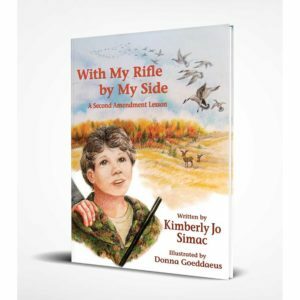 Dr. Marinella is a perfect candidate to author this book. Having completed his Bachelor of Science at Mount Union College in Alliance, Ohio, he proceeded to Wright State University School of Medicine in Dayton, Ohio. He trained in internal medicine at the University of Michigan Medical Center in Ann Arbor, Michigan, and is currently practicing medical oncology in Dayton, Ohio. He is certified by the American Board of Internal Medicine and is a fellow of the American College of Physicians (FACP). Between his internal medicine training and beginning his study of oncology, Dr. Marinella spent more than ten years as a “hospitalist” (hospital-based general internist). He went on to master human physiology while caring for thousands of patients and teaching medical students and internal-medicine residents on a daily basis. During this time, he was an active member of his local church. Dr. Marinella has authored three books, five book chapters, and more than a hundred published manuscripts in medical literature. The crucifixion of Jesus Christ is one of the central matters of the Faith. For the Christian who wants to understand more clearly what the process of crucifixion entailed, Died He for Me is an excellent guide. Marinella blends historical research on Roman crucifixion practices, with his own physician’s knowledge of trauma and the body’s responses to it. This necessarily involves some speculation, but Marinella clearly labels his personal judgments as such. . . . Though it’s one of the divine mysteries, it must be said that the physical horrors of crucifixion were the least of Christ’s sufferings. We believe that Christ bore the blast of God’s anger itself, setting His body like a shield between us and the fire of Hell. Such suffering is beyond description. But what we can know is enough to sober our minds and turn us to humility and repentance. I recommend Died He for Me for pastors, and for adults who are looking for a serious, scientific, non-sensationalist examination of the crucifixion of Christ. I am an 18-year old believer of God and our Savior Jesus Christ. I am currently incarcerated, but still in good spirits because the Lord blesses me with a smile on my face, and hope in my heart everyday. In my search to find readable material (in jail), so that I may strengthen my faith, I came across just what I was looking for when I was given my very own Died He For Me book. The way Died He for Me is designed, makes it easy for the reader (me) to learn the material that is read, and by being told to look in different sections of the Bible, the reader can’t avoid learning their way around the Bible’s many pages. 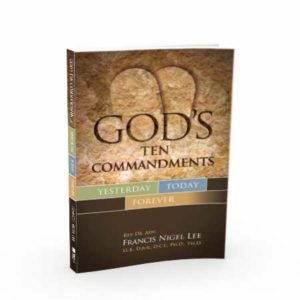 By having verses of the Bible highlighted in your book, and by having key words defined and explained, gives me a better insight of the material I am reading. My faith in the Lord is strong, and by having books like the one you guys provide, Died He For Me, helps me keep it that way. My process in the book, still has a couple of pages before it is completed, and looking back at what I have read already, I know that it is going to be a desirable experience until the end…. This letter is written to give thanks, and to give you guys added encouragement to keep on publishing great books! Died He for Me took its place in line on my nightstand. Suddenly I was experiencing excruciating deep neuropathic pain. Within a few days I lost control of limbs and had not slept nor eaten a thing but medicine. Surgery was yet a few days off. I prayed to God, I know you can take this pain from me, but why haven’t you now that I desperately need help? Immediately looking for escapes I picked up Died He for Me and learned about the even greater levels of pain that Christ suffered for me. This book was what I needed then to get me through intense pain but now I remain in awe as I developed a deeper understanding of the suffering Christ endured for me. Died He For Me is medically accurate, highly incisive, and very well describes the sufferings of our Lord in the most modern medical terms. The body of our Savior Jesus Christ endured the same devastating effects as any normal human being would suffer when subjected to similar horrifying torture. Dr. Marinellla lays out an awesome and insightful description of that terrible agony, using modern medical terminology and an excellent familiarity with emergency medicine as practiced today. I highly recommend this book for anyone who desires to get a better feel for the amount of suffering God deemed necessary to pay for our sins. Since there are numerous technical terms used, people with a good grip of medical terminology will be especially blessed by this book. A few months ago I had the opportunity to read Dr. Marinella’s wonderful book Died He For Me, and I was left in awe of the love of Christ for all of us He died for. In fact, I was so overwhelmed with the suffering that Jesus went through, that it gave me a newer perspective on not only the suffering on the Cross, but also the suffering Jesus endured before the cross. I found this book very easy to understand, even though it is written by a medical doctor. 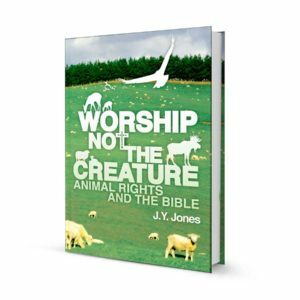 The author has scientific knowledge, and who was able to seemingly explain and detail the real physical suffering Christ endured for the sole purpose of our eternal Life. However, I need to point out that the book is brutal and graphic in many ways. Not overwhelming, but still, I think the reader should be forewarned. We all know that Jesus suffered tremendously in the hours leading up to His crucifixion, but it may take a physician to help us realize just how much. Jesus was “probably physiologically almost dead” and in critical condition when He arrived at Calvary, says Dr. Mark Marinella, author of Died He for Me: A Physician’s View of the Crucifixion of Jesus Christ. Add to that condition the horrors of crucifixion, and you have suffering almost beyond belief. Take into consideration that the Man suffering didn’t in the least bit deserve any of it, and it makes it that much more horrifying. And, hopefully, helps us appreciate that much more what He did for us on Good Friday. Dr. Marinella, an oncologist and blood disorders specialist in Ohio, says that his study should prove beyond a doubt that when Jesus was taken down from the cross, He was dead. Not unconscious, not in a “swoon,” as some conspiracy theorists have claimed, but dead. Hematidrosis, or sweating of blood. Lack of adequate food and water. A possible bruised heart from falling forward on His way to Golgotha. Reopening of His back wounds as His garment was taken off and later as He was placed on the rough, splintery wood of the cross. A possible concussion when He was thrown to the ground in preparation for being nailed to the cross. Paralysis of His hands as spikes were driven through his wrists in the carpal tunnel region. Hyperextension of His feet so another spike could be driven through them. Dr. Marinella gives many more medical details in Died He for Me than are presented here, and also discusses how all of those problems compounded one another, leading to yet more suffering. He also points out that because of the unique nature of Jesus’s case and situation, the Savior probably endured more physically than the typical crucifixion victim endured. But all of that may pale next to what He had to endure emotionally and spiritually as He was ridiculed by spectators and cut off from His relationship with the Father, Dr. Marinella says. But there was no other way, not if prophecy was to be fulfilled. Dr. Marinella says that Christians need to look at the Crucifixion and Christ’s suffering openly and honestly. This happened somewhat with the release of The Passion of the Christ in 2004. The Mel Gibson movie is noted for its violent imagery when depicting the scourging and crucifixion. But some Christians didn’t want to see it, Dr. Marinella recalls. Instead, it was coated in blood—and grace. When Mel Gibson’s controversial film, The Passion of the Christ was released in 2004, millions of people were exposed to the brutality of the crucifixion of Jesus Christ-many for the very first time. While most reviewers criticized the movie for its explicit violence and graphic depictions of Christ’s last few horrific hours before his execution, these same reviewers completely missed the significance of what they were witnessing. The death of Christ is the single most important event in world history, short of the resurrection. The beating, scorn, and scandal that Jesus Christ received was meant for us. Our sin sent Him to the cross. Our sin requires blood atonement. Our sin requires human sacrifice. Our sin requires death. And our sin has been paid for; Jesus Christ died that we may live. Died He for Me is an excellent book to go through as a family or individual. Although we tend to think more about the death and resurrection of Christ during this period of the Church calendar, we should be thinking more about it all year round. Sparing our children (or ourselves) of the gruesome details of the cross does not help us to have a biblical view of our sin. Our sin separates us from the One who created us. Without a proper view of how our sin has damaged our relationship with God, we can never have a proper view of the steps He took to reconcile us. I have certainly been humbled and inspired by this closer look at the cost of my salvation. “When I survey the wondrous cross on which the Prince of Glory died…” “Love so amazing, so divine, demands my soul, my life, my all. As an evangelical or born again Christian, I do not “celebrate” the Lenten season as some people prefer to do, nor does my local fellowship. That being said, I believe it is important for Christians to bring to mind often what Jesus has done for us and if the Lenten season helps you to focus on Christ, His passion and His redemption, then by all means do so. My personal reflection, however, will be just that: times I spend with Jesus in quiet solitude, reflecting on His life on earth, His passion and resurrection and the life to come. 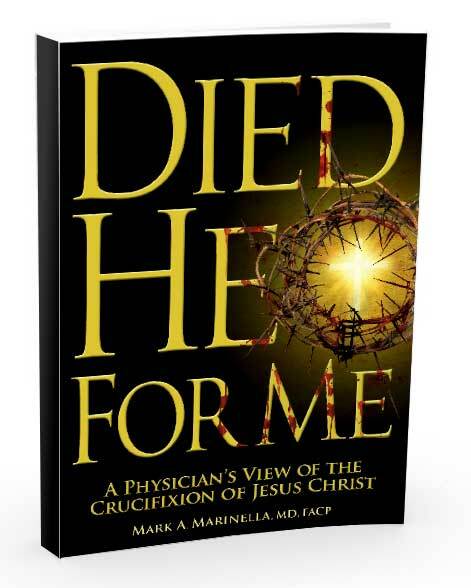 I’ve also secured a copy of Died He For Me, a book written by Dr. Mark A. Marinella, who takes a look at Jesus’ crucifixion from a physician’s perspective. Indeed, this book subtitled, A Physician’s View of the Crucifixion of Jesus Christ, does just that and makes for an excellent, if not provocative, read as we each bring to mind Christ’s passion. Dr. Marinella is board certified in Internal Medicine and Medical Oncology and practices in Dayton, Ohio. Included among his clinical interests are “breast cancer, lymphoma, leukemia, critical care hematology and oncology, as well as nutrition support for hospitalized cancer patients.” His expertise has given him the understanding needed to address the hours leading up to Jesus’ crucifixion and what the human body goes through as it is pulverized in this manner from a medical point of view. Before I move on, allow me to briefly address some of the criticisms people have offered up against books or movies which have attempted to graphically convey what Jesus went through as He took upon Himself our sins. Certainly, we don’t need anything beyond the Bible to help us understand the gravity of sin and the suffering that Jesus went through. 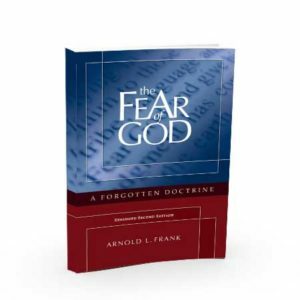 However, having that information can only benefit the Christian, who gains an understanding of a heinous form of capital punishment, one that God took upon Himself to set us free from sin and damnation. Marinella offers the reader an appropriate synopsis of what life was like in Jesus’ time to explain the political landscape and just how much the Romans and Jews hated each other. By the time Jesus was led to Golgotha, crucifixion was widely practiced by the Romans — many Jews were crucified during the earliest “Jewish Wars” which occurred about the time of the birth of Christ and in 70 A.D. when the temple was destroyed. The Jewish historian Flavius Josephus has noted one account in 4 B.C. where approximately 2,000 Jews were crucified in a Roman bid to stamp out rebellion. Some historians have theorized that Golgotha, which means “place of the skull,” got that name because of the skull-like appearance of the hill where Jesus was crucified. It may also point to the skulls of other victims which were scattered about (see notes for Matthew 27:33). In any case, by the time Jesus was crucified, the Romans had “perfected” this cruel form of punishment. The first three chapters of Died He For Me give way to four chapters where Marinella shares in explicit detail what Jesus went through as He was given up to the Romans, scourged, His walk to Calvary, crucifixion and, finally, His death. And this is where a doctor’s perspective can help the reader understand the nearly impossible physical and psychological torment Jesus bore as he willingly went to the cross for our sins. Indeed, we know that Jesus was physically tired, having stayed up the entire night before praying and was in great anguish. Though he foreknew what He was to face, Jesus was still very much a man — imagine the fatigue and the deep sense of betrayal He encountered as the purple robe was put on his body and as the crown of thorns were driven into His skull. I won’t spoil the book for you, but Marinella describes in great detail the tools of suffering used to torture Jesus, an event which dropped His blood pressure and placed Him in a state of near bodily shock. This information is important to know because before He even got to the cross, Jesus was near death. The so-called “swoon” theory can be easily debunked — the pummeling Christ went through sometimes killed people before they got to Golgotha; He was in no condition to survive His injuries, let alone free Himself from the tomb and make His escape as some skeptics assert. Marinella taps His medical expertise to describe in great detail the trauma Jesus suffered. From exposure to bacteria found in human spittle to tetanus and other forms of infection. Profound blood loss, tissue damage, ripped cartilage, elevated body temperature and kidney damage were just some of the traumas Jesus willingly took upon Himself as He paid for mankind’s sin and bore the wrath of God. There are no words that can be said to explain the gravity of what Jesus did for you and me. Only by the revelation of the Holy Spirit can any of us appreciate Jesus and His finished work upon the cross. To that end, I’ll dispense with further details about Jesus’ suffering. This book can make for a wonderful companion study as you reflect on Jesus’s passion, betrayal, scourging, crucifixion and resurrection. Yes, even through it all Jesus stood firm, doing what it took to purchase our lives, making the only payment for sin that God could accept to permanently wash away our sins. Hallelujah!